You must hear this CD, and even better--share it with your kids! 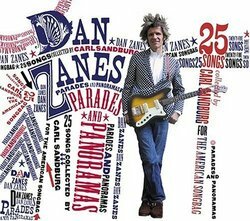 Released last fall (I'm a little slow), Dan Zanes Parades and Panoramas: 25 Songs Collected by Carl Sandburg. An amazing collection of 25 American Folk Songs from Sandberg's 1927 book The American Songbag. The CD is full of some amazing traditional American folk music--all from the "real people" making music--the miners, sailors, farmers and cowboys (and girls!). And with Zanes' collection of musician friends playing on the recording, there's a wonderful sound to these old songs. Go check it out. You'll be glad you did.